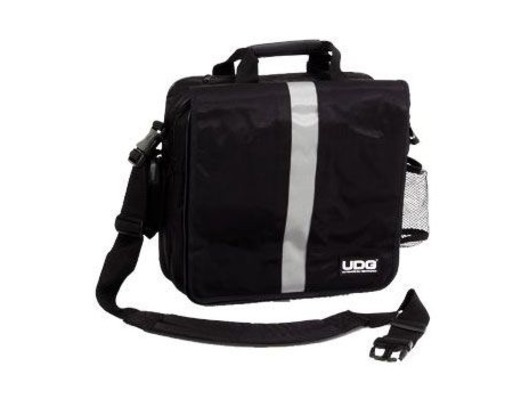 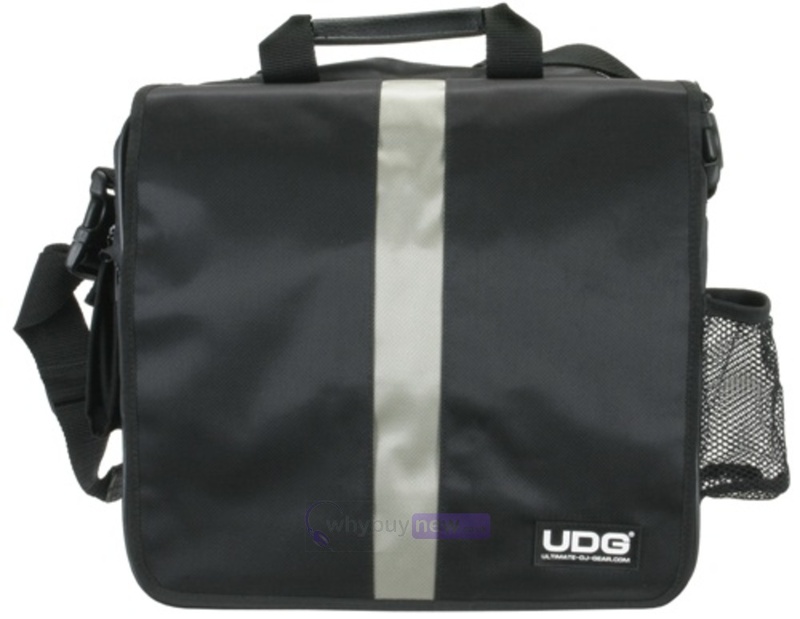 Black UDG CourierBag Deluxe, The Black UDG Courier Bag Deluxe holds approximately 40 records or 35 when laptop is inside. 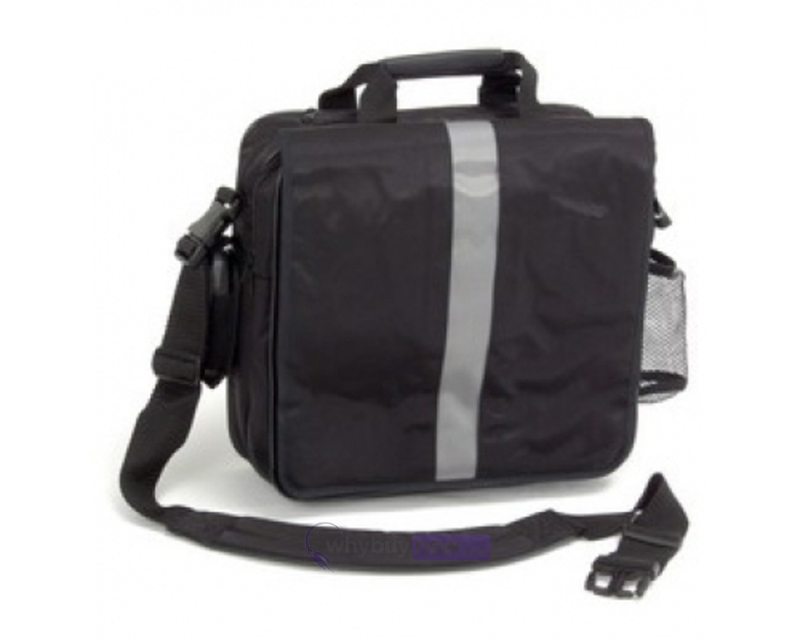 It has loads of compartments and features that no other bags can compare! 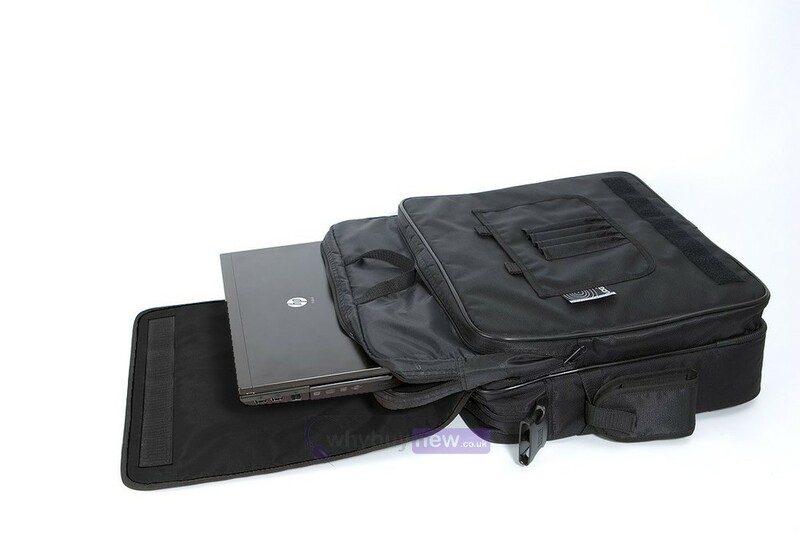 Some of the features include : an inner laptop bag, a detachable phone pocket, a water bottle holder, and so much more. 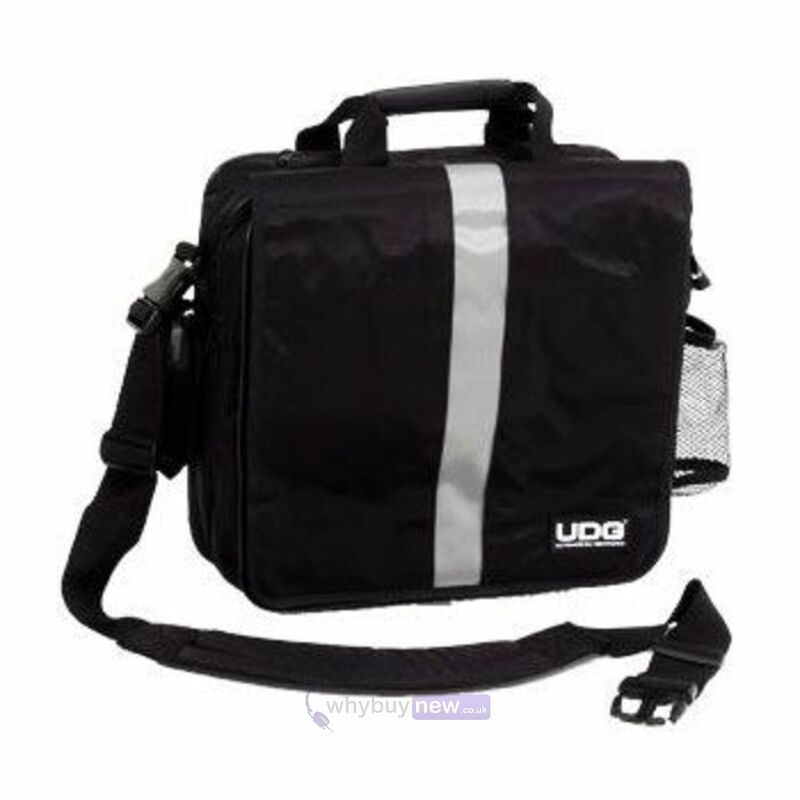 It is equipped with a strong velcro fasten, a removable shoulder strap with a padded rubber cushion and a handle with rubber grips.